A media executive and journalist with 25 years of experience in the industry, Schiller joined NPR in January 2009. She leads all of NPR's worldwide media operations, including the organization's partnerships with a network of more than 900 public radio stations, and their service to the nearly 30 million people who listen to NPR programming. Prior to joining NPR, she served at The New York Times as senior vice president and general manager of NYTimes.com. She also served as senior vice president of CNN Productions. Schiller began her career as a simultaneous Russian interpreter in the former Soviet Union, which led her to documentary production work for Turner Broadcasting. NBC News executive Vivian Schiller has formally accepted a new job as Twitter’s head of news partnerships. AllThingsD reported two weeks ago that Schiller would take the job, which is supposed to provide Twitter with a liaison to journalists and news organizations. Schiller said she’ll continue to live in Washington, D.C., with her family, and will be commuting frequently to Twitter’s San Francisco headquarters. The microblogging company settles on a media industry veteran as its digital news liaison. Social media rewards live viewing as opposed to time-shifting. If you’re in the television business, that’s a really great thing. The end of a relationship that started back in 1996. Former National Public Radio head Vivian Schiller, who left her last job under a political cloud, looks to have found a new position. 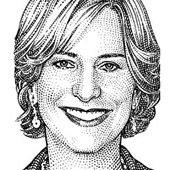 She’s in talks to work at NBC News, where she’ll oversee digital projects. Today, NPR CEO Vivian Schiller resigned after a series of borks–including a sting video in which the public radio’s top fundraiser insulted the Tea Party activists and the fumbled firing of commentator Juan Williams. Oh dear. Well, the former New York Times exec was pretty good at moving NPR into the digital age, at least. WSJ's D8 Special Tab: Jobs, Zuckerberg, Ballmer, Cameron and More in Their Own Words! From Apple’s perspective, when it comes to software platforms, theirs is best (Cocoa/Cocoa Touch), because they have complete control. Everyone’s is good (the web), because Apple has control over their own implementation and can influence the future direction of the standards. What Apple doesn’t want is someone else’s proprietary platform, where they have no control at all. That’s what Flash is.